A hot summer day just begs for Margaritas. These are easy to make and even easier to enjoy. Feel free to adjust the proportions according to your preference. Make Simple Syrup » Combine the water and sugar and heat on the stove top or in the microwave, stirring occasionally, until sugar is dissolved. Set aside to cool. 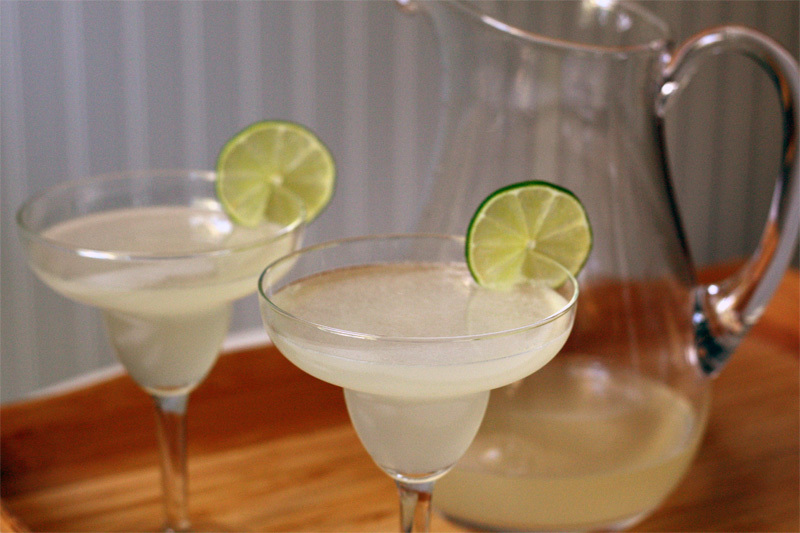 Make Margarita Mix » Combine simple syrup with lemon and lime juice. Make Margaritas » Pour margarita mix, tequila, and triple sec into a pitcher. Stir well and chill. Serve » Pour a layer of salt onto a small plate. Moisten the glass rims with lime juice and dip in salt. Fill glass with ice, then fill with margarita (or shake with ice then strain into glass). Garnish with a lime wheel.